About Us - C J Harker & Associates Ltd. Since Mr Harker took over the Practice in 1985 the premises on the corner of Hothfield Street and Skipton Road in Silsden have gradually been extended through a series of planned developments and service improvements to create a multi-surgery dental site with state-of-the-art decontamination facilities to make all dental procedures safe and sterile. 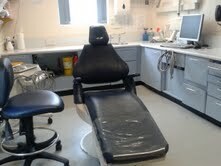 The practice at Exley Head in Keighley was opened in 1987 and has also been subjected to a number of improvements to extend and enhance the dental services we offer. In addition to our highly experienced dentists and dental nurses, we have an oral health educator (OHE) in our team. Our OHE is qualified to provide fluoride applications and offer patients oral health advice tailored to their needs to help them improve and maintain a healthy mouth and prevent dental disease. If you would like to arrange a free appointment with our OHE, please ask your dentist or enquire at reception. We really care about the quality of the services we provide. Both our Silsden and Keighley practices have been inspected and assessed by the Care Quality Commission (CQC). This comprised a thorough examination of our policies and procedures. We were required to demonstrate to an independent assessor that we put you, the patient, at the very forefront of all the services we offer. We also had to prove that everything we do behind the scenes to manage strict decontamination and safety regimes met key industry standards. We passed this rigorous inspection and continue to work hard to maintain the high standards we set ourselves as well as meeting the benchmarks required by CQC. We are proud to be holders of a ‘Health Promoting Dental Practice Award’ and continue to participate in the scheme which shows that we meet strict quality standards reflecting the high quality of the work we carry out to deliver oral health advice to our patients. We regard the health and safety of our patients and staff as being of the utmost importance. Our dental practices are continuously risk-assessed to ensure they comply with rigorous industry standards. All equipment in our surgeries, equipment-sterilisation room and elsewhere on both sites is subjected to stringent safety checks. Fire safety checks are carried out and all electrical items are tested for suitability. We pay close attention to staff training; all our nurses are either fully trained or undergoing training to acquire relevant professional qualifications. Staff training remains an ongoing commitment as dentistry continues to evolve. Our Silsden practice facilities include ground-floor surgeries. The most recent surgery was added to the practice and was designed to comply with the Disabled Person’s Act 2005 with measures including easier access for disabled patients - especially patients who use a wheelchair. Our reception desk - as well as the toilet in the ground-floor reception area - includes special adaptations for disabled patients. All patient information can be made available in large print to assist people with visual impairments. We are able to offer a limited interpreting service. 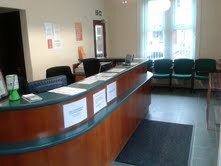 For assistance please ask our reception staff.